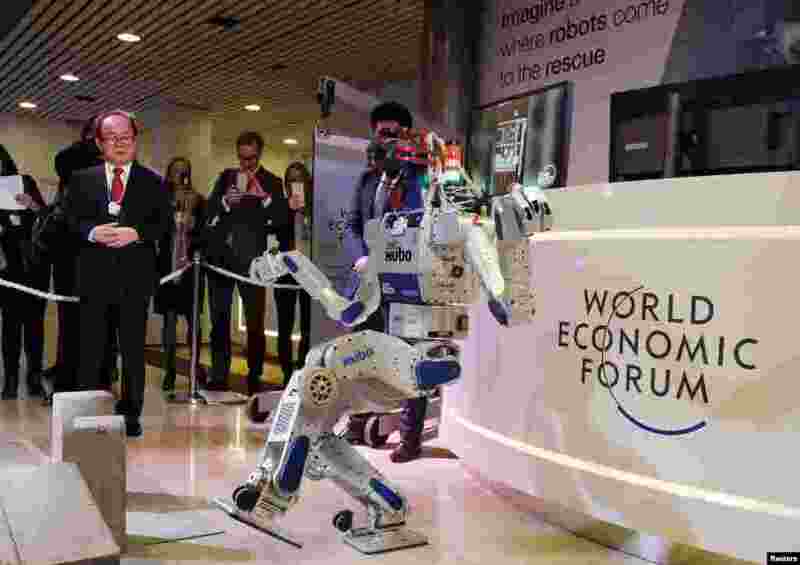 1 HUBO, a multifunctional walking humanoid robot performs a demonstration of its capacities next to its developer Oh Jun-Ho, Professor at the Korea Advanced Institute of Science and Technology (KAIST) during the annual meeting of the World Economic Forum (WEF) in Davos, Switzerland. 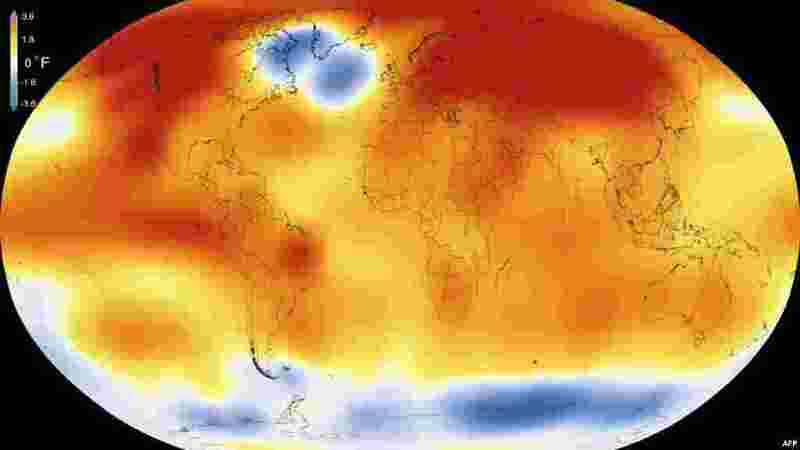 2 This illustration obtained from NASA shows that 2015 was the warmest year since modern record-keeping began in 1880, according to a new analysis by NASA’s Goddard Institute for Space Studies. 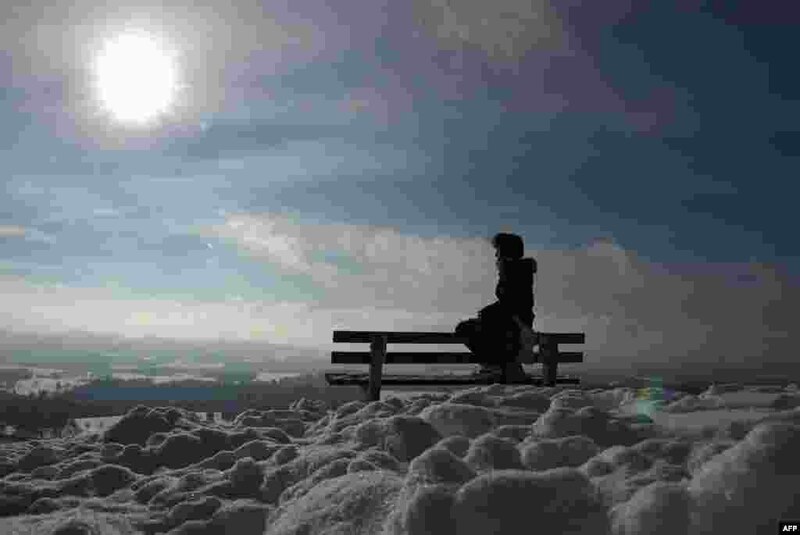 3 A young girl sits on a bench and enjoys the sunny winter weather with temperatures close to the freezing point in a snowy landscape near the small Bavarian village of Irschenberg, southern Germany. 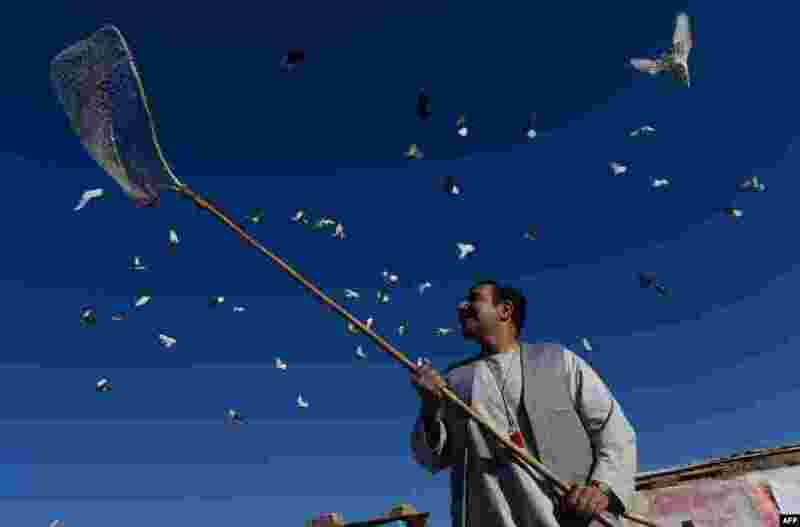 4 Nasir, a resident of Herat, Afghanistan stands below his pigeons flying from the rooftop of his home.